My original drawing tablet. I have fond memories of this tablet and its… what? 4×5 inch working space and 512 levels of sensitivity? Actually – that’s not entirely true. I remember being proud that I had one – I think it cost me $300 when I bought it, and back that? That was a lot of cash. They sell the Bamboo now in place of the Graphire (though I think you can still find Graphire tablets on eBay and the like). If you have a little one at home at want to give them something with more accuracy than the ‘finger painting’ on your iPad, I really recommend them. 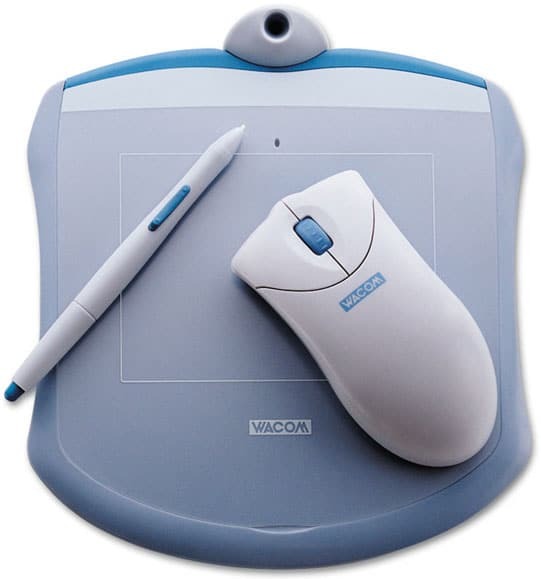 They’re inexpensive and a great way to dip your toes in the water of digital art.